Click below for the results for the Canada Cup Rankings for the 2017-2018 season. Congratulations to Nick Elson and Kylee Toth Ohler for winning the Canada Cup last season! Congratulations to all the athletes that competed at Lake Louise this past weekend in the Ken Jones Classic. It was great to see so many Canadian and American Athletes at the start line! Thank you to all the volunteers, race officials, sponsors, host resorts, ski patrol members and racers that made the 2017/2018 season a success! 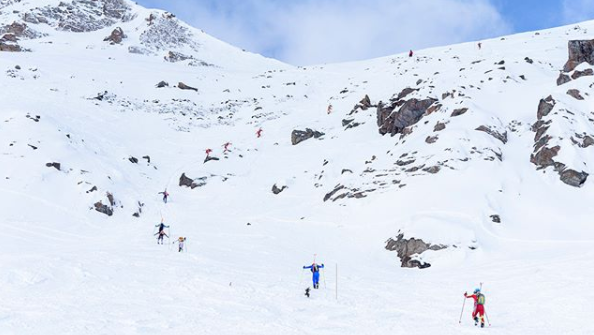 Click below for the results from the first Ski Mountaineering race at Marmot! 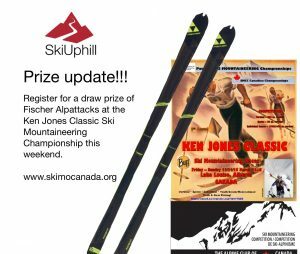 You could win a pair of skis from SkiUphill at the Ken Jones Classic this weekend!